Today’s Wonder of the Day was inspired by carina from, AL. carina Wonders, “How was skating invented” Thanks for WONDERing with us, carina! Ice skates have been around for a really long time. An pair of ice skates was found at the bottom of a lake in northern Europe. Scientists estimate the skates may have been worn in about 3000 B.C. In the 14th century, the Dutch invented wooden skates with iron on the bottom. Much like skiing, skaters would then use poles to push their body weight over the ice. In the next century, the Dutch added a double-edged to the bottom of ice skates, which meant poles were no longer necessary. Skaters could propel themselves by pushing and gliding with their feet. Until the 17th century, ice skating was mostly used for . Sometime in the 17th century, however, King Charles II saw ice skating in Holland and decided to introduce it to England. 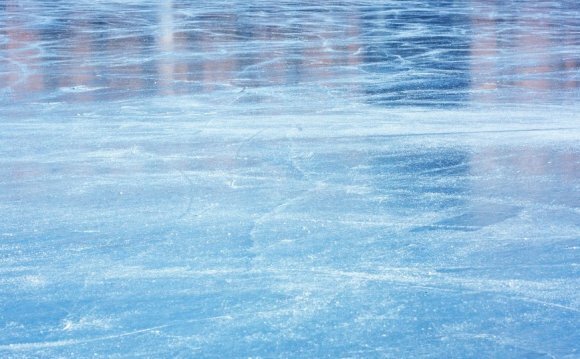 Historians believe that the British used the blades of their skates to make tracings and drawings on the ice. In 1763, England became the site of the first official ice skating competition, as skaters raced across 15 miles of frozen canals. Historians give credit to an American, Jackson Haines, for making figuring skating what it is today. Haines developed a special skating in 1865. With this new, he was able to accomplish new skating moves, jumps and spins. A few years later, Haines added the to his skates, which allowed skaters to master all sorts of new leaps and jumps.